Generally clear skies. Low 58F. Winds light and variable..
Generally clear skies. Low 58F. Winds light and variable. After returning from Maine, Sarinana took a break from sculpture and painting to start a family – the couple have two toddlers – and help tend to the couple’s Silver Lake nail salon, Gloss. When it came time to get back into the art studio, Sarinana realized he got more enjoyment out of making meals than art. 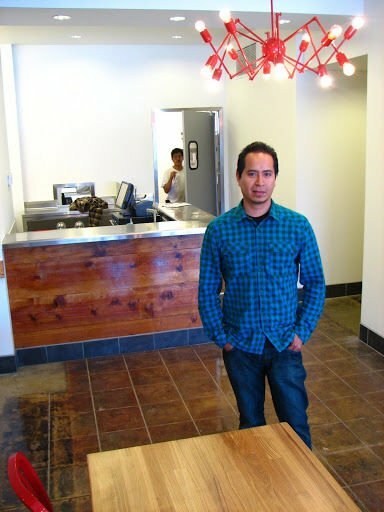 In a matter of days, Sarinana and his wife decided that he would open up a Vietnamese restaurant. They spent one night looking for a location and came upon the former Par Paint store at the corner of Sunset Boulevard and Lemoyne Street only a few blocks from their home. Soon after they had signed a lease and committed themselves to opening their first restaurant. “You got to be a little crazy to do this,” Sarinana said. 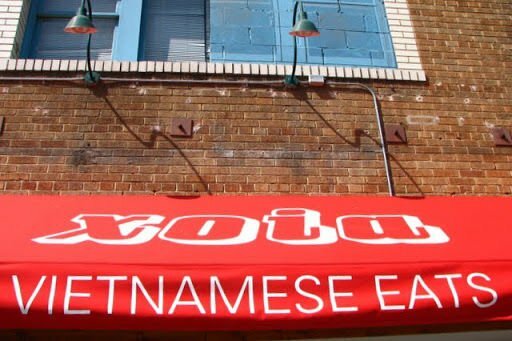 The menu at Xoia will remain dominated, however, by Vietnamese favorites – such as pho soups and banh mi sandwiches – as well as some more uncommon regional dishes, such as Cau Lau noodles, which will require Sarinana to import noodles and other ingredients from Vietnam. There will also be other novel dishes, such as a “bunrria,” which combines a Mexican-style birria meat stew on a bed of rice noodles.